S corporations -- so named for Subchapter S of Chapter 1 of the Internal Revenue Code -- are not taxed directly by the IRS for federal income taxes. Instead, S corporations, or so-called “pass-through” corporations, pass profits and losses through to the shareholders, who in turn report the corporation's profits or losses on their personal income tax returns. IRS rules restrict S corporation status to certain individual, estate or trust shareholders. Qualification for S corporation status is risked if the death of the principal owner, or of any other shareholder, causes the transfer of shares to an individual, estate or trust that does not meet these restrictions. Upon death of the principal owner of an S corporation, ownership of the owner's shares of stock is determined by the law of the state in which that owner's estate is administered, usually the state in which the owner resided at time of death. The principal owner's shares may be transferred according to the terms of a will or by operation of general state inheritance law if there was no will, commonly known as intestate succession. Ultimately, the principal owner's shares are transferred to individual heirs or trusts established by the owner. 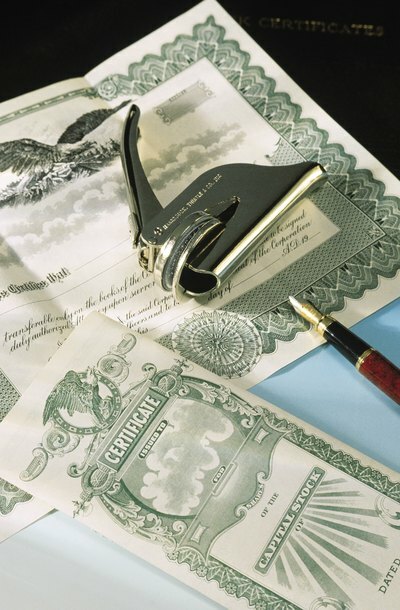 When the principal owner of an S corporation dies, it is likely the owner's estate will also qualify as an S corporation "owner" while the estate is being administered. It is also likely that the heirs of the principal owner will qualify as S corporation owners once they receive the shares from the owner's estate. In both cases, the S corporation status of the company is retained. Ultimately, the new owners of the principal owner's shares in the S corporation are free to operate the company in the same manner as before or sell their shares. They may also elect to simply dissolve the corporation under applicable state law if unable to find a buyer for their shares or operate the corporation without the principal owner. In the unlikely event that a principal owner's death forces transfer of the shares to an individual, estate or trust that does not qualify as an S corporation owner, or that creates another condition that disqualifies the company from S corporation status, such as exceeding the maximum number of shareholders, the corporation will lose its S corporation tax status and convert into a C corporation. C corporations pay income taxes directly. The new owners of the principal owner's shares in the corporation are free to operate the corporation as a C corporation or sell their shares. They may also elect to dissolve the corporation. To avoid potential loss of S corporation status upon death of a principal owner when the corporation is owned by multiple shareholders, it is common for all shareholders to enter “buy-sell” or “shareholder” agreements that provide for transfer of the shares to the remaining shareholders. These agreements are often funded by “key-person” life insurance. If the principal owner dies, the surviving shareholders use the life-insurance proceeds to purchase the shares from the estate of the principal owner. This ensures that there will be no transfer to a non-qualified owner or other event which would cause loss of the S corporation status of the company. Iowa State University, Center for Agricultural Law and Taxation: IRAs as Shareholders in Subchapter S Corporations - Who Is An "Individual"?